The West End’s a funny place. The main streets are prime retail but head down the side streets and you’ll find all manner of independents (alongside a growing number of big name boutiques). Feeling the need for a restorative coffee after a trip to the Mac Store on Regent Street, Cafes That are Not Franchises ducked down Maddox Street, on no more than a hunch that you don’t have to get far from the Retail Ground Zero of Oxford Circus tube station to find a nice independent cafe. 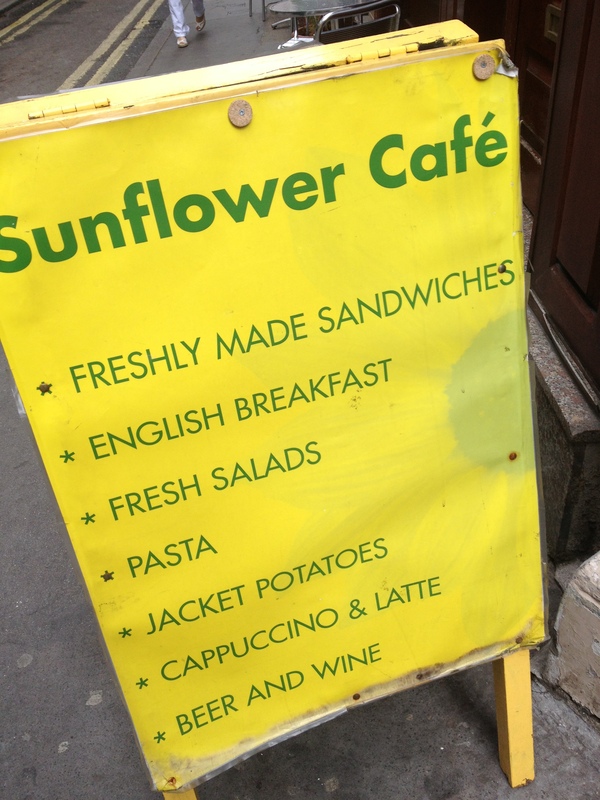 Turning north up a narrow lane towards Oxford Street we found Sunflower Cafe in Pollen Street. 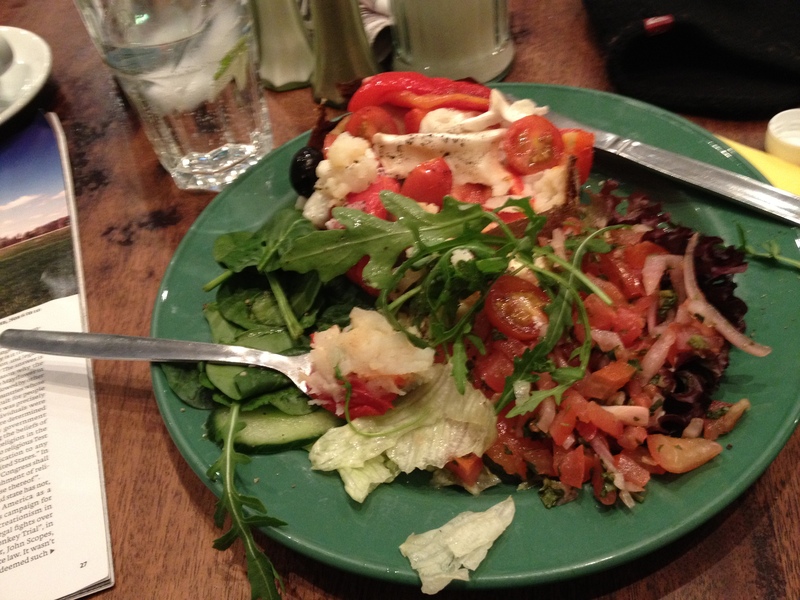 It’s another classic London cafe – serving sandwiches, pasta and range jacket potatoes – in a cozy environment. When the veggie filling we ordered turned out to be “off”, the chef offered to knock something up with roasted vegetables and goats cheese. 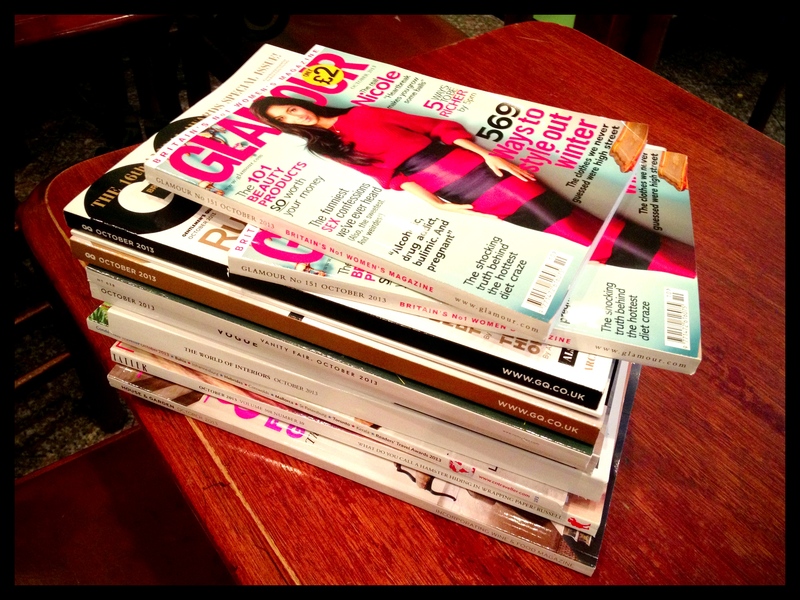 Portions are good (You’d never know there was a baked potato under that heap of filling), the coffee’s not bad, it’s licensed if you are in the mood for alcohol, service is very friendly and best of all there’s always a big pile of glossy fashion magazines for you to browse if you are on your own (waiting for your agent, of course).